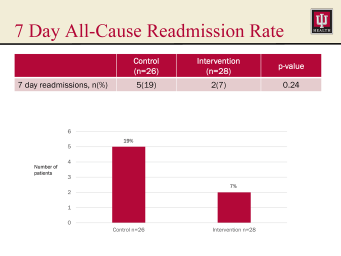 By helping patients avoid medication errors and increasing adherence, MedActionPlan can help reduce readmission rates. A study conducted by Sharp HealthCare and Touro University California College of Pharmacy examined the impact of a Continuum of Care Network (CCN) led by a Continuum of Care Resident Pharmacist on 30-day readmissions of heart failure patients as well as compliance with a key process of care measure, discharge instructions. MedActionPlan schedules became one of the key interventions by the pharmacist, along with discharge counseling and resolving medication reconciliation problems. This study showed a 48% reduction in 30-day readmissions. 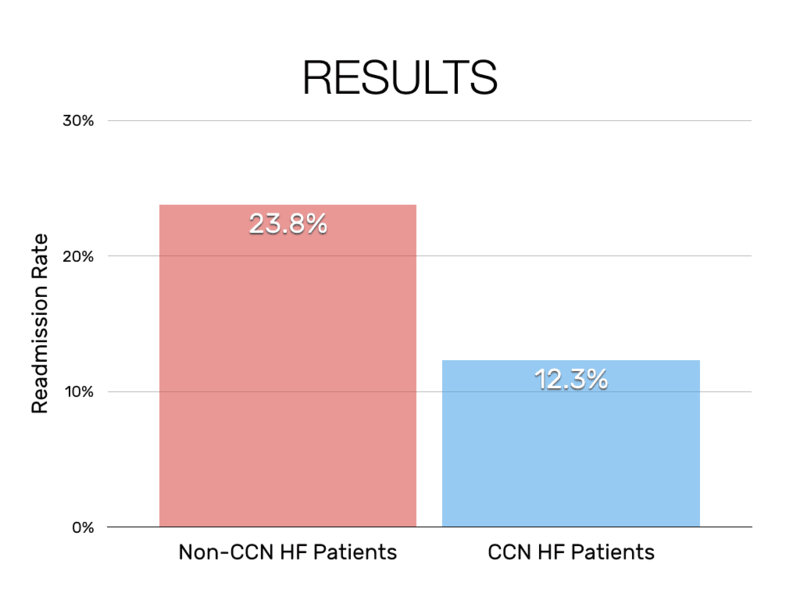 Another finding of the study was that after implementation of the CCN with MedActionPlan, Heart Failure core measure 1 compliance rates improved from the 80th percentile to the 90th percentile. The United Network for Organ Sharing (UNOS) and the Centers for Medicare and Medicaid Services (CMS) require transplant centers to document the participation of a pharmacist on interdisciplinary transplant teams in order to meet accreditation standards. Providence Sacred Heart Medical Center & Children’s Hospital (PSHMC), where about 50 kidney transplants are performed every year, conducted a retrospective analysis examining the inclusion of pharmacists on the hospital’s interdisciplinary kidney transplant team. 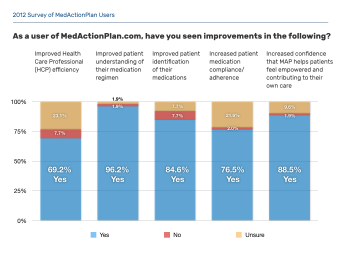 The analysis found that reorganizing patient education, including adoption of MedActionPlan as the standard medication list, was among the most significant contributions by the pharmacists. 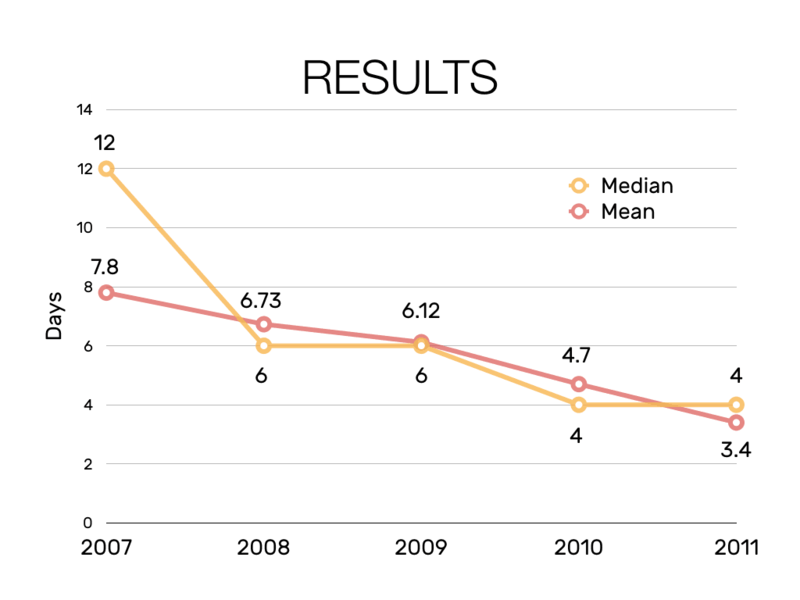 The 56% reduction in lengths of stay was estimated to save $279,180 annually. 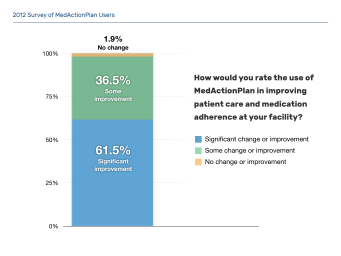 When staff perceived that patients were not adequately prepared for discharge, they turned to MedActionPlan to provide a medication “calendar” for bedside education. The result: these nurses achieved a significant improvement in key HCAHPS categories. 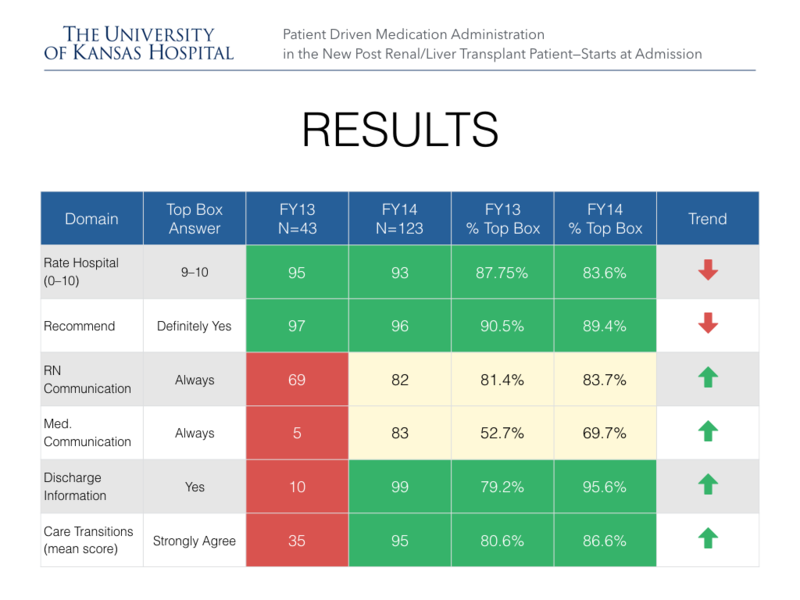 In this study, a team from Baylor University Medical Center performing 200 blood and marrow transplants every year details how they used MedActionPlan to significantly improve education and compliance with complex medication regimens. The study also found that MedActionPlan improved the continuity of care between inpatient and outpatient settings. The results also indicate that MedActionPlan can help healthcare professionals work more efficiently (69% agreed with that statement). Medication adherence is particularly challenging for transplant patients. Post transplant, they take a minimum of 10 different medications. The patient needs to understand the purpose and importance of following the instructions for each of those medications. Emily Feider at Indiana University Health, one of the top 10 transplant centers by volume in the United States, conducted a study to help quantify the effect of MedActionPlan on patients’ ability to accurately report medication instructions and indications. The study found that using MedActionPlan led to a statistically significant decrease in the number of medication indication mistakes. 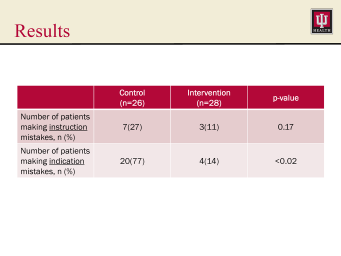 The study noted that MedActionPlan clearly presented indications, instructions, and dosing. The study also highlighted some special MedActionPlan formats like insulin sliding scales, Taper/Titration Schedules, the Anticoagulation Action Plan, and Oral Syringe Dosing.